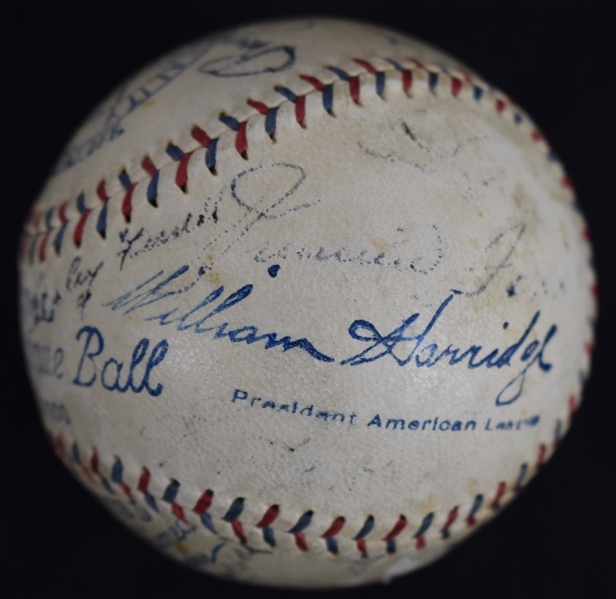 This unique offering features an official William Harridge American League baseball signed by 21 members of the 1933 AL All-Star team. This ball has special significance because it was the very first All-Star game ever played. Signatures include: Babe Ruth, Lou Gehrig, Walter Johnson, Jimmie Foxx, Al Simmons, Rogers Hornsby, Mickey Cochrane, Lefty Grove, Charles Gehringer, Bill Dickey, Rick Ferrell, Lefty Gomez, Joe Cronin and Earl Averill among others. This is, undoubtedly, one of the greatest All-Star teams ever assembled. 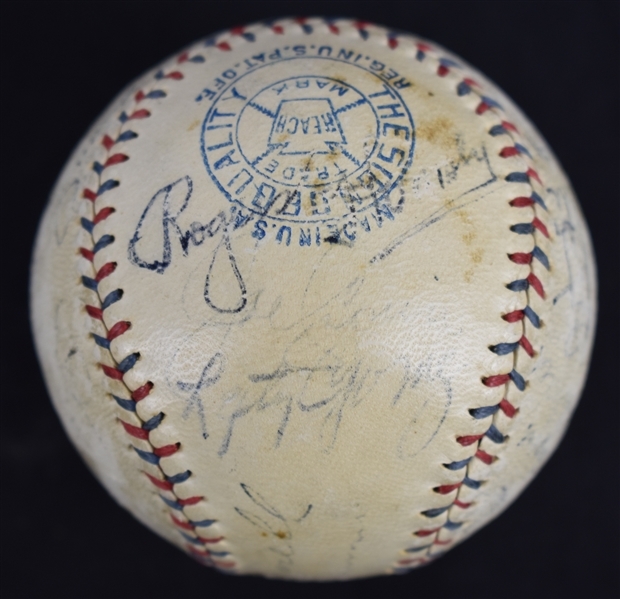 Very unique opportunity to acquire an All-Star baseball in which legends Ruth, Gehrig, Foxx, Johnson and Hornsby all played on the same team. 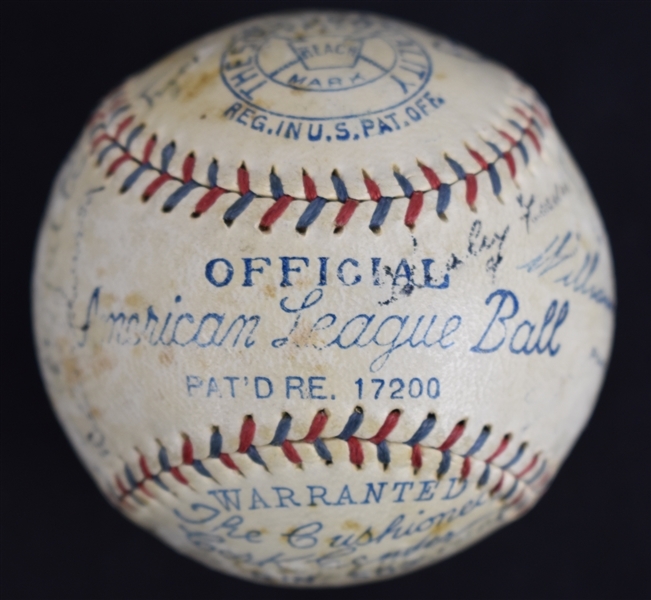 This was the first official playing of the midseason exhibition baseball game between Major League Baseball's (MLB's) National League (NL) and American (AL) All-Star teams. The game was held on July 6, 1933, at Comiskey Park in Chicago, Illinois, the home of the AL's Chicago White Sox. 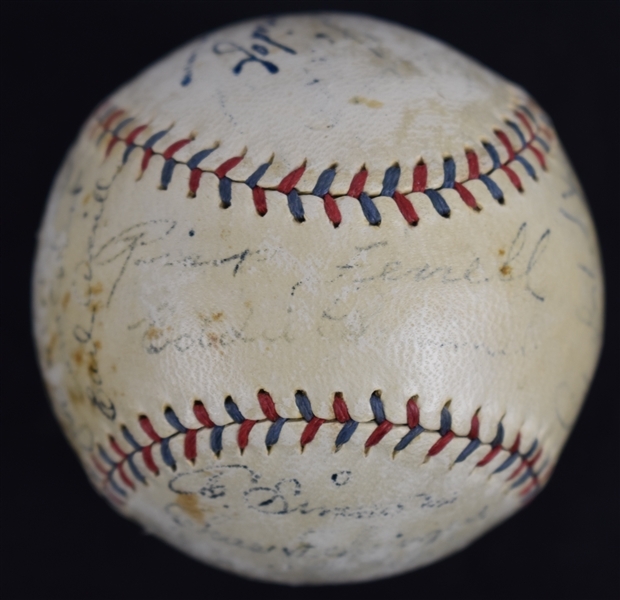 The game resulted in the AL defeating the NL 4–2, in two hours and five minutes. 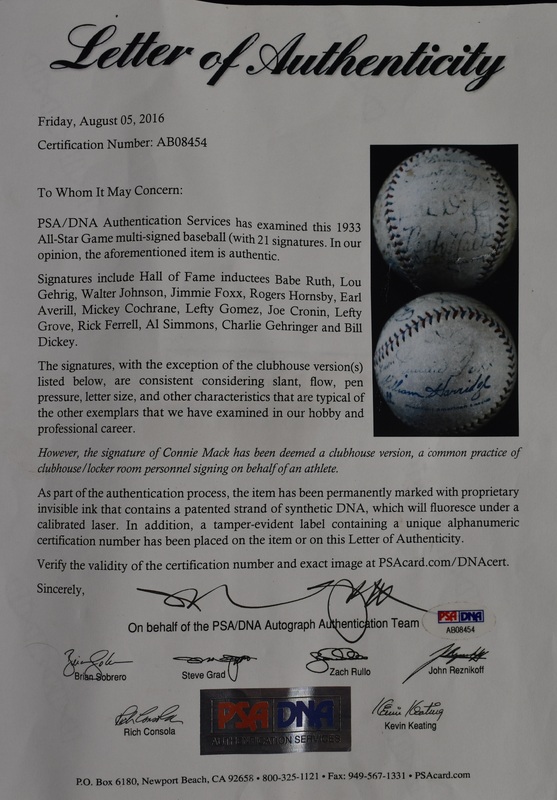 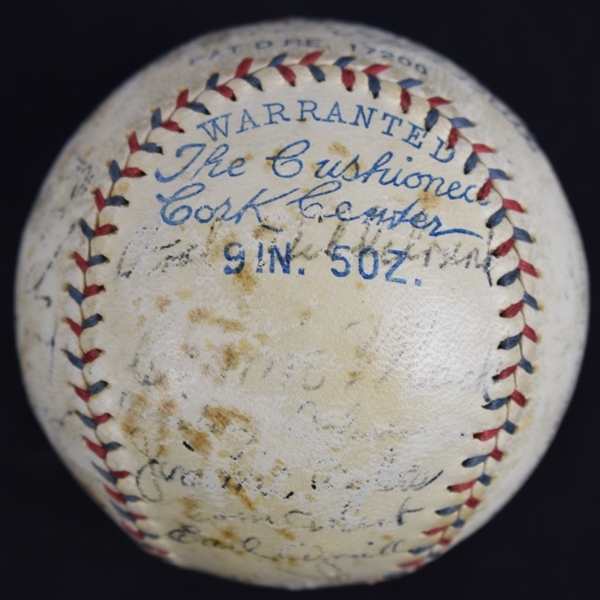 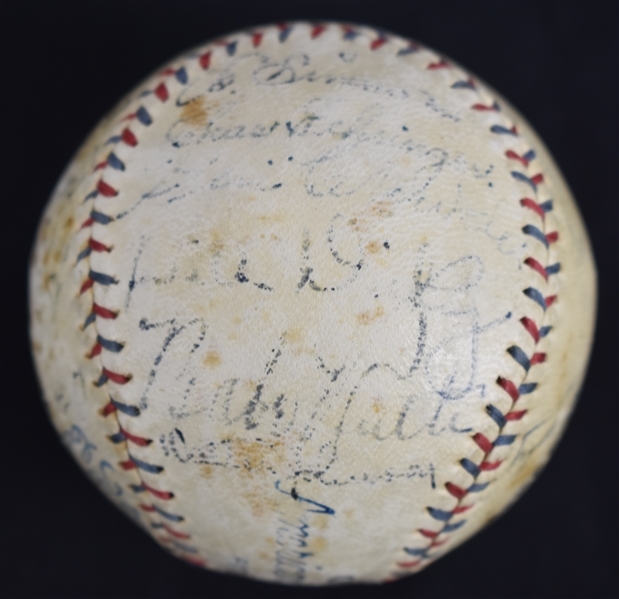 PSA/DNA Letter of Authenticity detailing the signatures included on this historic baseball.